Tuberculosis can be a contagious disease, and preventing its spread is a global concern. (CNN) -- A person infected with an active case of tuberculosis flew aboard a commercial passenger jet last week, despite the person's presence on a "do-not-board" list maintained by federal health authorities, officials said Tuesday. The patient, who has not been identified publicly, flew Saturday aboard US Airways Flight 401 from Philadelphia, Pennsylvania, to San Francisco, California, airline spokesman Morgan Durrant told CNN. An investigation involving US Airways, the Transportation Safety Administration (TSA) and the Centers for Disease Control and Prevention is under way, he said. The CDC gives the do-not-board list to the Department of Health and Human Services (DHS), which notifies TSA. It in turn notifies the individual airlines, according to a U.S. government official who asked not to be identified. In this case, the official said, the government notified the airline at 10 p.m. Friday, more than 14 hours before the passenger checked in for the flight, which departed at noon Saturday. "When DHS was provided the do-not-board information from CDC, TSA quickly followed proper protocol and made this information available to airlines," TSA spokeswoman Kristin Lee told CNN. The CDC told USAirways that there is little to no risk that another passenger would contract the disease on a flight of fewer than eight hours, Durrant said. We don't think anyone with active tuberculosis should get on a plane. Because the flight lasted less than six hours, the airline has not tried to contact any of the other passengers, he said. The person was stopped in San Francisco after trying to board another flight for a location outside the country, said Dr. Martin Cetron, CDC's director for global migration and quarantine. "We don't think anyone with active tuberculosis should get on a plane," he told CNN in a telephone interview. Cetron said the patient has a contagious form of tuberculosis but he would not divulge whether it is a multiple-drug-resistant strain of the bacteria, which can prove fatal. The patient is being treated for the disease, the doctor said. Despite the fact that the person boarded the Philadelphia-San Francisco leg of his planned trip, "I think the public health side of this equation functioned," Cetron said. He noted that the person's name was put on a do-not-board list in a timely way and that the person was intercepted in San Francisco. Still, he acknowledged, it could have gone better. "If everything is working smoothly, the hope is that he would never get onto the flight in Philadelphia," he said. It is not the first time the list has failed to keep a passenger with contagious tuberculosis off a jetliner in the roughly 30 months of its existence, he said. "There are a few others, but it's exceedingly uncommon," he said, citing "a handful of other incidents." He added, "Every time it doesn't work, it's unfortunate and it's investigated ... There are all sorts of reasons why things may not work exactly as planned." The list was created in June 2007 after Atlanta, Georgia, lawyer Andrew Speaker traveled abroad with a drug-resistant case of tuberculosis. He set off an international health scare by flying to Europe. and then Canada, before driving back to the United States. He insisted he had not been told he was contagious; public health officials disagreed. Since its creation, the list has held 88 names of people with contagious disease who represent a threat to public health and have shown evidence of intending to fly, Cetron told CNN. Seventy-six of the names have been removed, he said. He underscored that the do-not-board list differs from the do-not-fly list maintained by the Department of Homeland Security. "There are separate procedures and processes," he said. 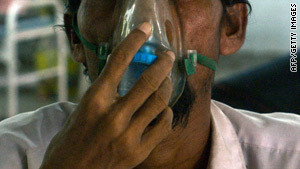 Tuberculosis, one of nine diseases that can get a person on the list, has accounted for most of the cases on the list. Other diseases include viral hemorrhagic fever and SARS.